Prayers written at Vailima, by Robert Louis Stevenson, 1910. New College Library Z.2233. The rain is pouring down this afternoon in thundery showers. 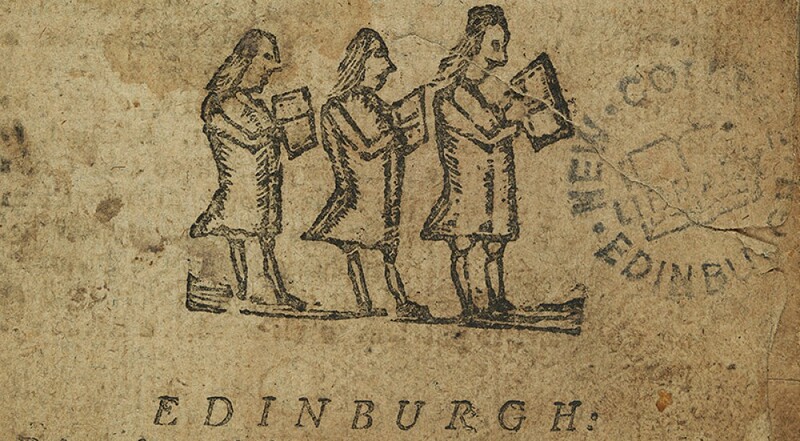 Here’s a rainy day item from New College Library’s collections. 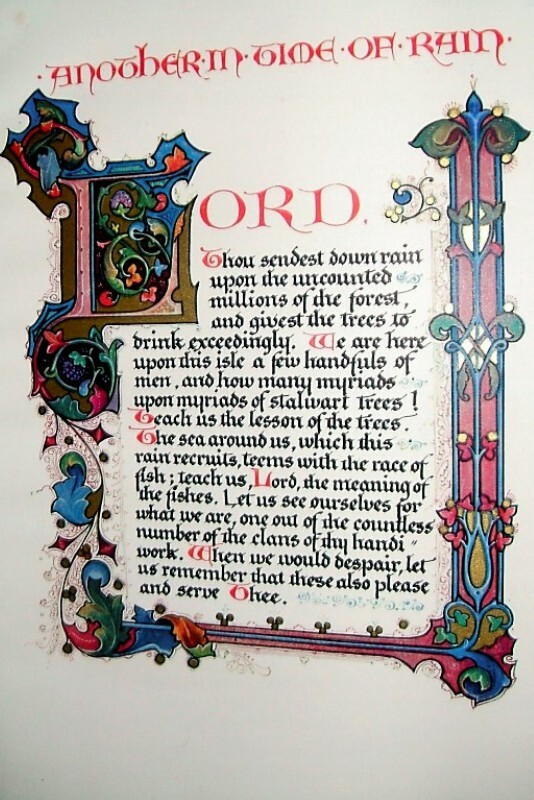 Robert Louis Stevenson wrote this prayer in time of rain as part of a collection of prayers written in Vailima, Samoa where he made his home in the 1890s. 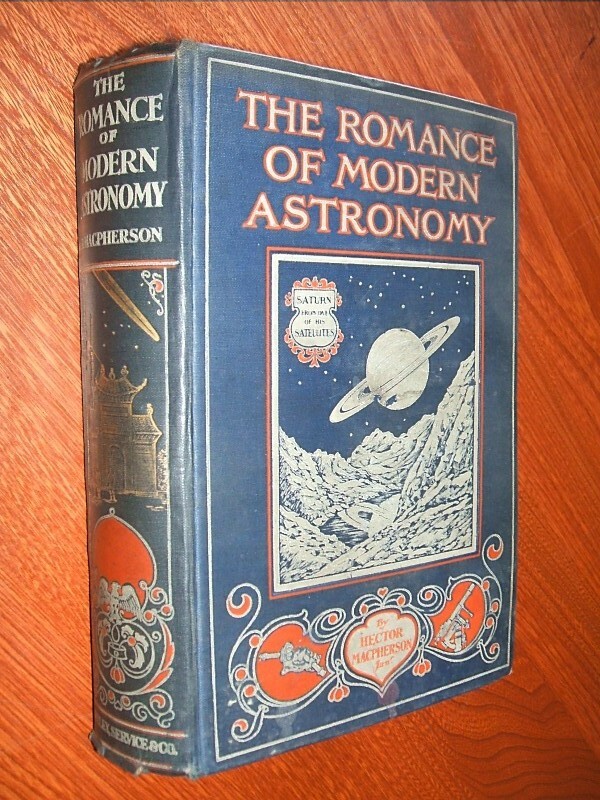 It was later published in this 1910 illuminated edition, designed by Alberto Sangorski. This item is held in New College Library’s Special Collections, in the ‘Z’ Collection. The University is introducing a new system of copying and printing over the summer of 2012. New Xerox multi-function devices (MFDs) are due to be installed for the beginning of semester in September. University users will continue to be able to charge their University smartcards with credit for photocopying. However, for external users, the old prepaid copy cards will cease to function. Instead, the New College Library helpdesk will be able to charge visitors cards with credit to enable external users to copy. After the new machines have been installed, New College Library will no longer be selling the prepaid copy cards. We are still selling the prepaid copy cards but advising users to only buy for what they need right now. If you have a copy card, please try to use up any prepaid copy card balance now while you can. If you do have a balance on your prepaid copy card, after you are no longer able to use it in the Library, you will be able to have this balance checked at the Main Library Helpdesk, and receive a refund on the balance, until 31 December 2012. 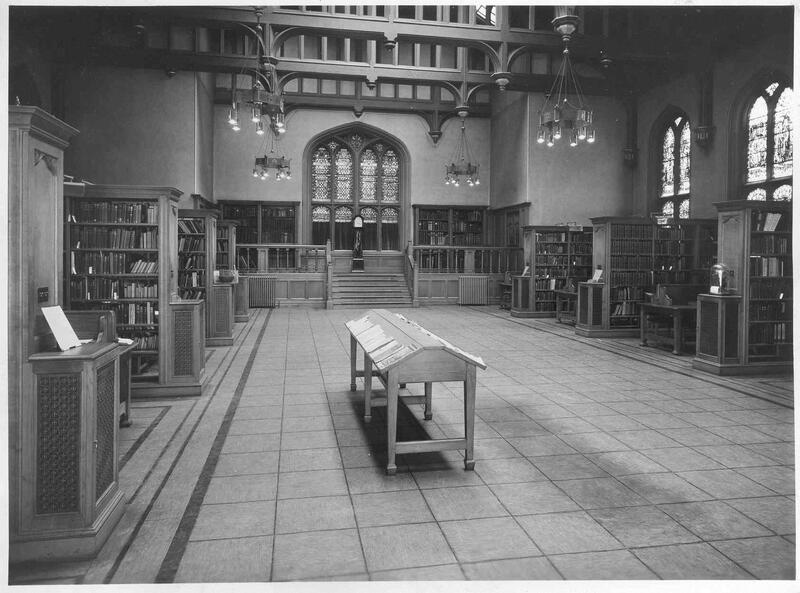 Did you know that New College Library holds significant collections of archives and manuscripts? 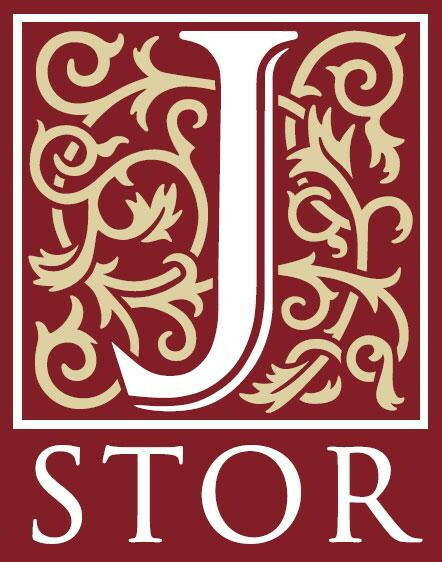 These collections include the papers of Thomas Chalmers, J.H. Oldham, James S. Stewart and Norman W. Porteous. Hidden among the older archives are gems such as the last speech and testimony of the covenanter James Renwick (1662-1688). The Archives also include a New College Archive which includes group photographs of students and staff, and of the New College buildings. Recently added to our collections are the papers of Rev Tom Allan (1916-1965), Rev. Professor Alec Campbell Cheyne (1924-2006), Rev. Professor John McIntyre (1916-2005), and the Very Rev Professor James Whyte (1920-2005). The listing of these papers was funded by a generous bequest from the estate of Rev. Professor Alec Campbell Cheyne . See the New College Archives web page to find out more.